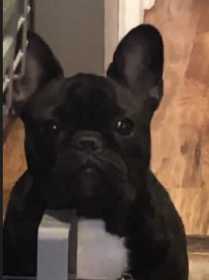 Young Black French Bulldog lost near 51st and Oak at Battle Creek Broken Arrow. Last seen playing near pond. Microchipped. Contact us or take to veterinarian, they will contact us.